Did One Man a Real Estate Market Make? Listed by Vogue in 2014 as the 15 Coolest Neighbourhoods in the World and by Knight Frank in 2015 as one of the Top 10 Urban Markets to Watch. “So hip, it hurts.” say residents. Where’s this? Singapore’s oldest and most charming neighbourhood. When I came back to Singapore after 11 years of Tokyo, London and New York, I moved into a rented apartment in Tiong Bahru as my friends were all living there. I fell in love with the neighbourhood. 5 minutes away from the hustle and bustle of the Central Business District, I found a yoga shala, a hair salon, 2 massage parlours (1 oriental, 1 spa), lots of quaint cafes and artisanal shops, and my favourite wine and pizza one-stop shop. The yoga shala is one of the darkest ashtanga studios I’ve practiced in. Outside, you will often see 3 Porsches parked in a row. Who are these power players you are practicing besides? At PS Cafe Petit, I would often go for a drink and chat to the bartenders who would deliver cases of wine to my house. You’ll sometimes see an old man at 3pm, with his glass of red wine and his superfood salad. If you start talking to him (and he’s very friendly), “Uncle Peter” will tell you stories about how he grew up in Tiong Bahru, the place where businessmen kept their mistresses, and how he used to hide in the bomb shelters during the war. He has many stories about how he would take a year off sailing, go to the Galapagos Islands and watch birds mate. Curious to know who he is? Once very influential in the Singapore media space. Everyone knows everyone by name. I have all my groceries delivered from the neighbourhood store with just a phone call and I can buy fresh produce and fresh flowers at the market. It reminded me of my days in Primrose Hill, London. With little alleyways I could cycle up and down, I’ve cycled all the way down the Singapore River to Marina Bay Sands all the way to Changi Airport. Naturally I wanted to buy a place here and when I asked around, anyone who’s anyone in Tiong Bahru will tell you to call Alvin Yeo. I’ve seen hundreds of apartments. I been apartment hunting in London (Primrose Hill, Notting Hill, Chelsea, Holland Park, Clerkenwell), in Tokyo (Ebisu, Shinagawa, and my fave Azabu Juban), in Philadelphia (Centre City) and New York (Union Square). And I’m fussy about my real estate, so I’ve been known to see up to 17 apartments in one day. Alvin is one of the nicest real estate agents I’ve met (and I’ve met plenty). Always on time, always smiling, humble and unassuming, Alvin will give you the full picture. The owner’s context, the timeline, sense of urgency, what you need to watch out for, the potential you could do with the property. All the good stuff good realtors do. After Alvin showed me about 8 properties in Tiong Bahru, we found one that I liked. He helped me get my bank loan through a frictionless process with his recommended banker. And I bought it. 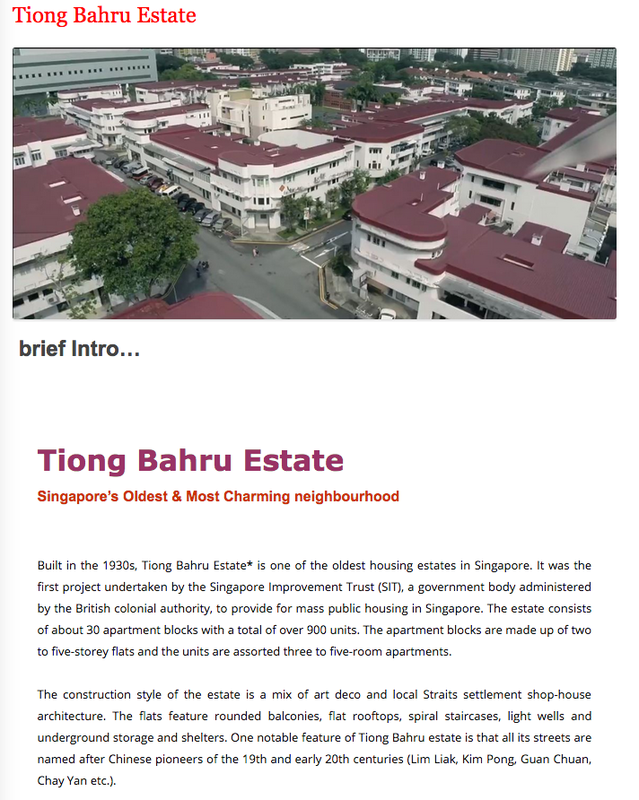 If you google “buying a property in Tiong Bahru”, you will see two sites rank top www.tiongbahru.sg and www.tiongbahruestate.blogspot.sg, both Alvin’s. 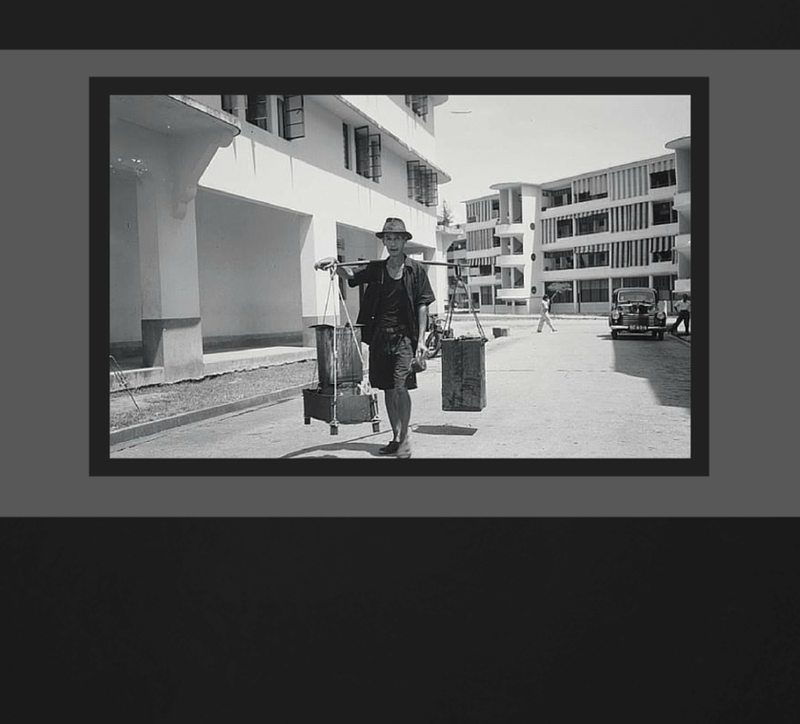 Alvin has been blogging about Tiong Bahru since 2003. This is pure content marketing. Does he buy google adwords, I don’t think so. 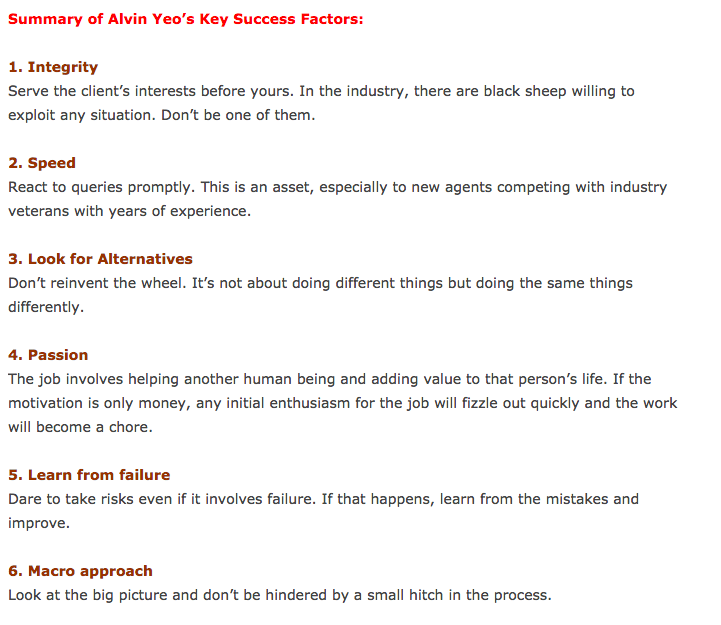 If you read Alvin’s blog, it reads like an Evan Carmichael Top 10 video of something that Steve Jobs, Tim Ferriss (4-hour Work Week) or Nir Eyal (Hooked) said. Am I afraid that writing this will spoil the Tiong Bahru bubble? Nah my readers are like my first 1,000 twitter followers, all men in Silicon Valley. Anyway, I trust that Alvin will continue to gate-keep the oasis I call home. I am working on my new conservation status home with my extraordinarily talented, very young Singaporean architect, Vince Ong, incorporating strong architectural lines into my new home, reflecting light, water and sound where we can. I also have a very young, very talented Singaporean industrial designer Olivia Lee crafting a range of homewares for me. I want everything to be made in Singapore, made by young local designers, carrying only with me bits of furniture that have memories, pieces of furniture and homewares that I’ve brought back from Tokyo to London to New York to London back to Singapore. And I will have an open door policy, like the name of a well-known local restaurant. Any one of my friends travelling through Singapore can stay with me anytime they want. I have a spare guest bedroom. Forget the fancy schmancy expensive hotels in Singapore. 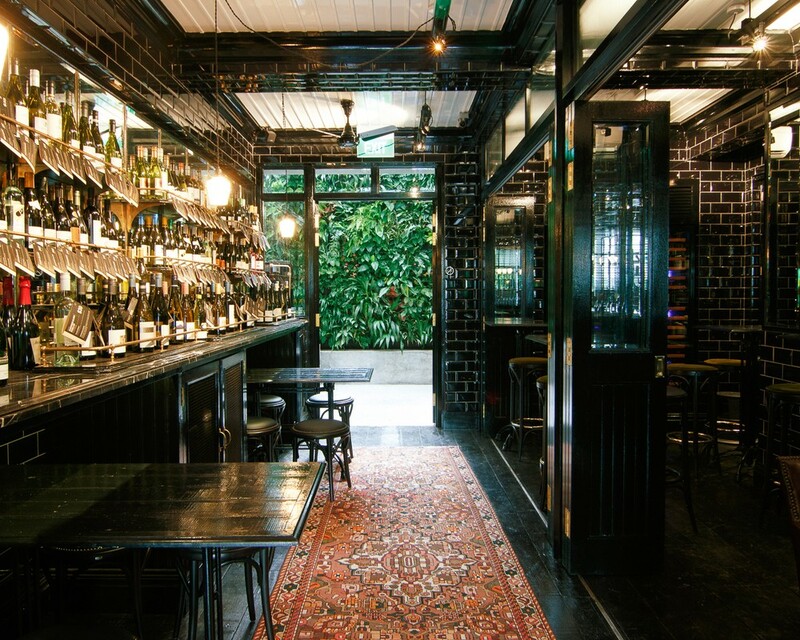 We can have breakfast at the popular Tiong Bahru Bakery and meetings at the PS Cafe Petit and catch up. But that doesn’t answer the question. Who is Alvin Yeo and did one man a real estate market make? Alvin Yeo declined for comments. He can be reached on +65 9100 0001. My favourite guide to Tiong Bahru. A CNN Article on Tiong Bahru “Singapore’s oldest and hippest ‘hood”. There is even a movie coming up on Tiong Bahru (no comments about the acting). Previous PostHow to Download Google Fonts to your computer with one line of code (Mac only)Next PostWas My Expensive Overseas Education Worth It?